Crispy skin duck breast, fresh blueberries, blueberry paste, pickled beetroot and puree, finished with basil oil. 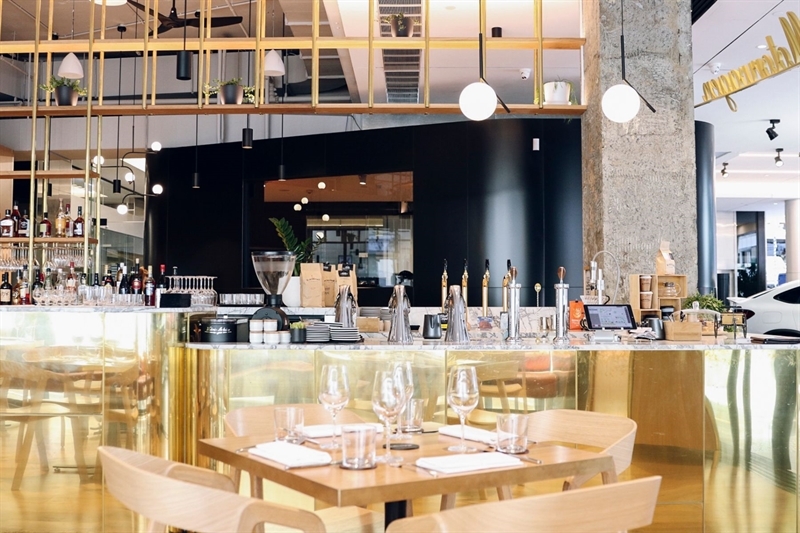 Reflecting the creativity of inventor Karl Benz, Motorwagen on Adelaide Street brings a stunning new dining venue to Brisbane. 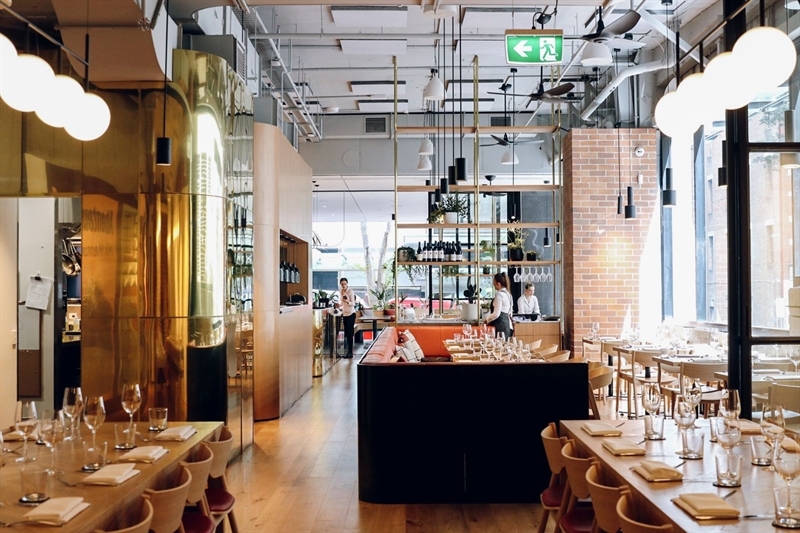 Named after the world's first petrol powered vehicle, this restaurant, in conjunction with Mercedes-Benz, delivers unique customer service, great food and a merchandise boutique with the latest vehicles on display. 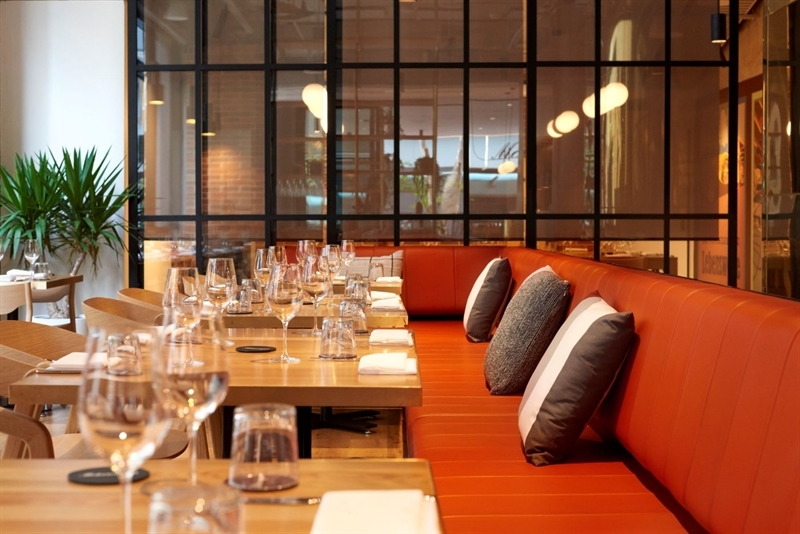 Rocking a modern decor of blond wood furniture, vibrant orange seating and art deco posters adorning the walls, Motorwagen oozes a funky European vibe, matched by a classic menu. Start your engines with an entrée of potato and pecorino filled ravioli, cacio pepe sauce and nduja oil; before changing gears with pan fried barramundi, mussels, chickpea puree, broth and rosemary oil. Cross the finish line with red capsicum and white chocolate ice cream. Working alongside Mercedes-Benz Brisbane lifestyle boutique at 300 Adelaide Street, Motorwagen Café and Restaurant fuses the luxury and quality of Mercedes-Benz Brisbane, with the quintessential ease and authenticity characteristic of the Queensland way of life, to bring a must visit dining destination to heart of Brisbane CBD. The Motorwagen concept is born from the world's first petrol powered vehicle, patented by Karl Benz in 1885. Inspiring. Elegant. Functional. 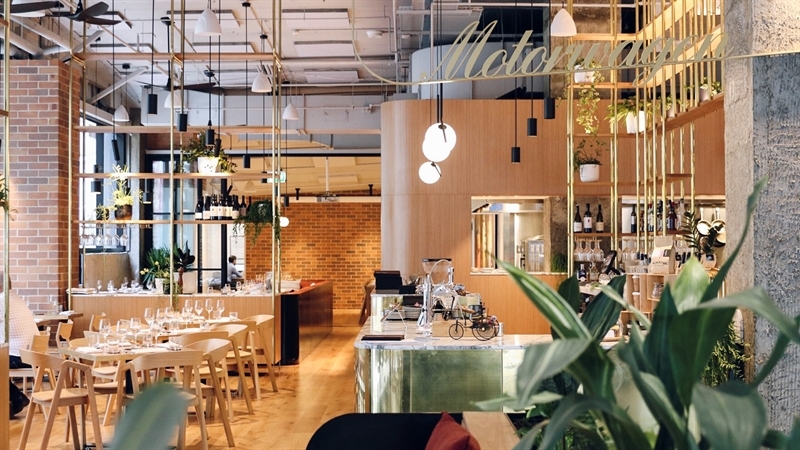 Motorwagen Cafe & Restaurant reflects the innovation and creativity of Karl Benz. It is elevated casual dining with a menu of classic and innovative dishes set in a stunning modern European style dining venue. Motorwagen Cafe and Restaurant is extremely excited to welcome Dario Manca to the role of Head Chef. Born near Milan, Italy, Dario comes from a European Michelin Star background, working with the likes of Heinz Beck and Gordon Ramsay - among others - before moving to Australia in 2014 to join the team at the much loved two hatted, Pilu at Freshwater Restaurant in Sydney. Among his many achievements, Dario recently, proudly represented Australia in the Barilla Pasta World Championship, competing with some of the best from around the world, ranking within the top 10. Dario now brings his passion for his art to Motorwagen with the launch of an insightful Modern Australian Menu with Italian influencers. With a focus on the best produce, Motorwagen is thrilled to bring this innovative, elegant and soulful menu by Dario Manca to our Brisbane audience. The inspiration for Head Chef Dario Manca's Menu stems from his passion for his Italian heritage and a love of ingredients; mixing the styles, techniques and knowledge he has developed throughout his career. Using the full array of skills acquired through his years of classical training under some of the best chefs in the world, Dario now aims to challenge tradition and thrives on experimentation in the kitchen; continually developing new and creative flavor profiles, to bring an exciting, fresh dining experience to the table. Functions and Events Motorwagen has a variety of spaces suitable to host a range of functions and events; whether it be a business meeting for up to 32 guests requiring full AV in the Private Dining Room, or seated dining for up to 120 guests. From Brisbane’s best cup of coffee on the way to work or a working brunch with business colleagues; to private dining with a group or a full-scale event taking exclusive use of the restaurant; Motorwagen caters for any event requiring great food, wine and atmosphere. 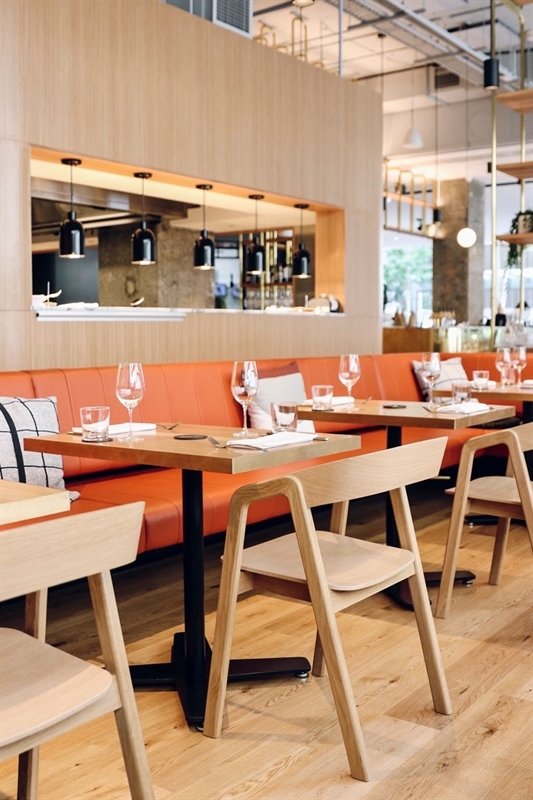 Whether dining for breakfast, lunch or dinner, the options are minimalist but inspiring. There's something for everyone and you don't have to spend 10 minutes trying to understand what you're going to receive. Really enjoyed my lunch between meetings in the city.